Looking for somewhere exotic and full of adventure for your trip of a lifetime? These fabulous far-flung honeymoon destinations have it all! India is a feast for the senses and Goa in particular has so much to do and see! The Grand Hyatt Goa is the perfect base – it overlooks the visually stunning waters of the Bambolim Bay and spreads across 28 acres of colourful, tropical gardens and lush lawns. 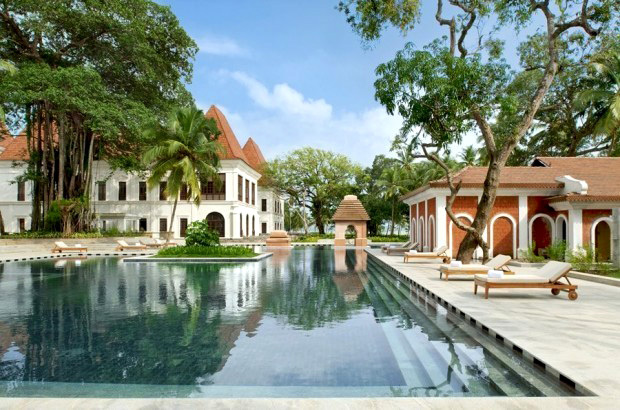 Housed in a 17th-century Indo-Portuguese palace, you’ll feel like royalty. 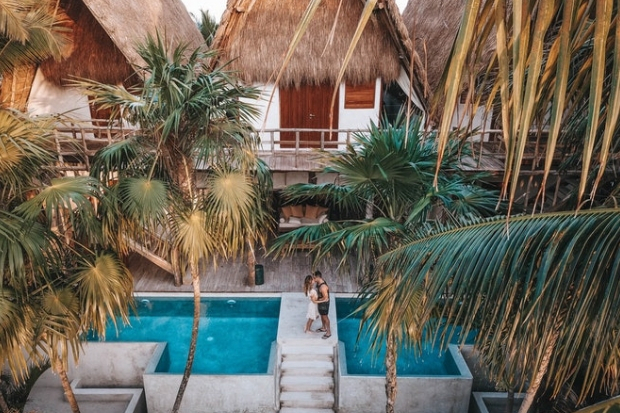 The luxurious resort has a host of activities and adventures including its beautiful Shamana spa, incredible restaurants where you can sample home-style Indian specialties and an adventure park with everything from wall-climbing to zip-lining. You can also get a culture fix in Goa with a spice plantation visit, a trip to a temple or pop by its Saturday Night Bazzar to soak up the fun music and atmosphere and pick up some souvenirs! Made up of 15 idyllic islands halfway between Hawaii and New Zealand, The Cook Islands are like a little slice of paradise in the South Pacific Ocean. Couples yearning for sun-filled days, crystal blue waters and sandy beaches will be blown away by this charming spot. There are lots of fab accommodation options from luxury villas to resorts, hotels and holiday homes across the islands. 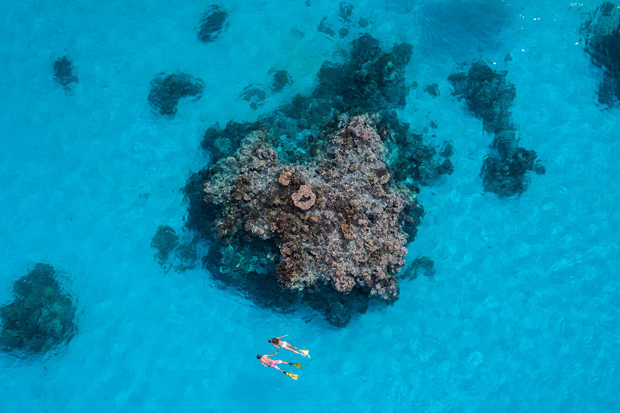 And you can do as little or as much as you please – water enthusiasts can look forward to snorkelling the crystal clear waters or enjoying a lagoon cruise. 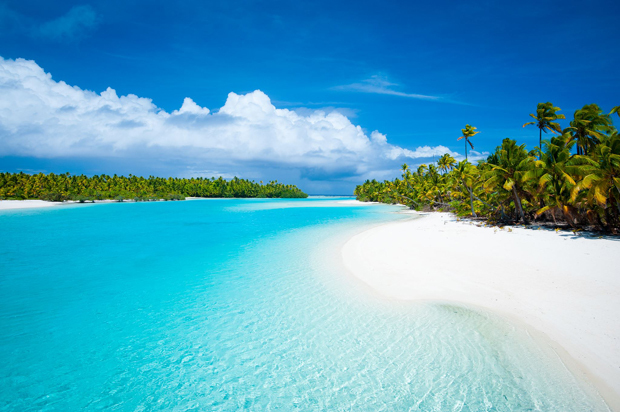 And the likes of Rarotonga, Aitutaki and Atiu all offer day tours if you fancy exploring. You can head inland via tuk tuk, bicycle, 4WD or on foot to see how the friendly locals live – plus, you’ll get to explore secret caves, sample exotic fruit straight from the trees and encounter goats, chickens, pigs and birds along the way. Overlooking the pristine southern coast of beautiful Sri Lanka, Shangri-La’s Hambantota Golf Resort & Spa is located along the ancient Spice Route. Whether you’re looking for some luxurious pampering, culture or adventure, you’ll find it here. 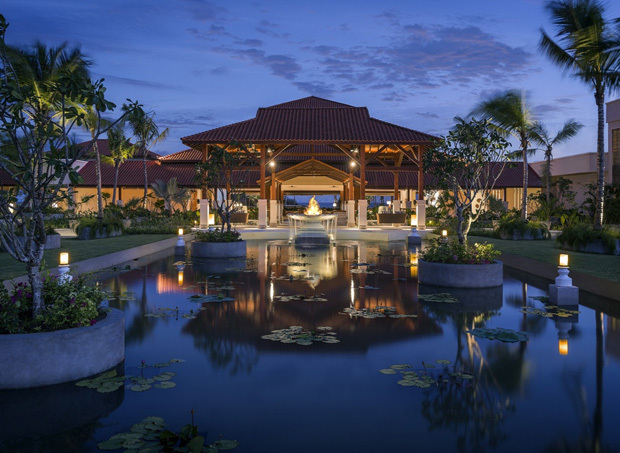 The 5 star resort boasts incredible facilities galore including a fabulous Chi Ayurveda spa, amazing restaurants where you can sample local cuisine and even has its own unique Artisan Village where you can pick up local art, crafts and souvenirs. It also has a wealth of cultural experiences on its doorstep such as temples and stupas. Adventure lovers can look forward to exploring Asia’s most fascinating nature and wildlife sanctuaries too with Yala, Udawalawe, Lunugamvehera and Bundala National Parks all close by. 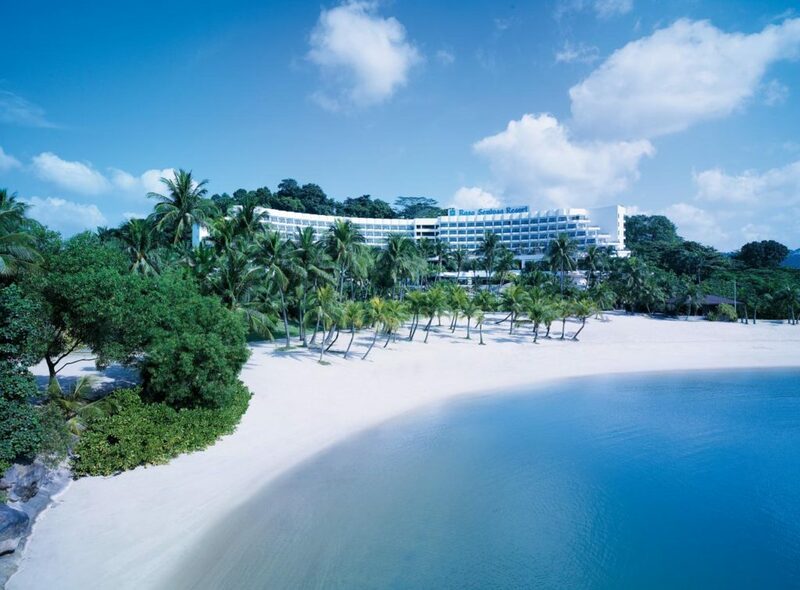 Shangri-La’s Rasa Sentosa Resort & Spa is the only beachfront resort in Singapore, making it an idyllic honeymoon destination for couples looking to unwind in style. It has everything couples need for a trip of a lifetime with luxurious accommodation including a Panoramic Sea View Room, five restaurants and two bars, a beautiful spa plus a host of water sports you can avail of. It’s just a 15-minute drive from the bustling city too with lots of fun activities to choose from including Southeast Asia’s first Universal Studios, S.E.A. Aquarium, Mega Adventure Park and iFly. 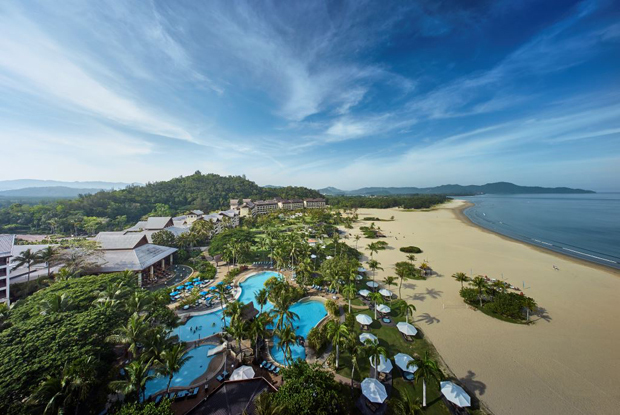 Shangri-La’s Rasa Ria Resort & Spa, Kota Kinabalu is an enchanting tropical retreat rising above the pristine Pantai Dalit Beach. Surrounded by 400 acres of tropical forest, it’s an idyllic setting for honeymooners after relaxation and adventure. The hotel boasts an incredible spa if you like your pampering and there’s activities aplenty too. You can try your hand at horse-riding, deep sea fishing, jet-skiing or you can explore their tropical rainforest and get a glimpse of Borneo’s amazing wildlife. Or for those after a romantic evening like no other, opt for sunset cocktails and dinner in a beach-side gazebo! 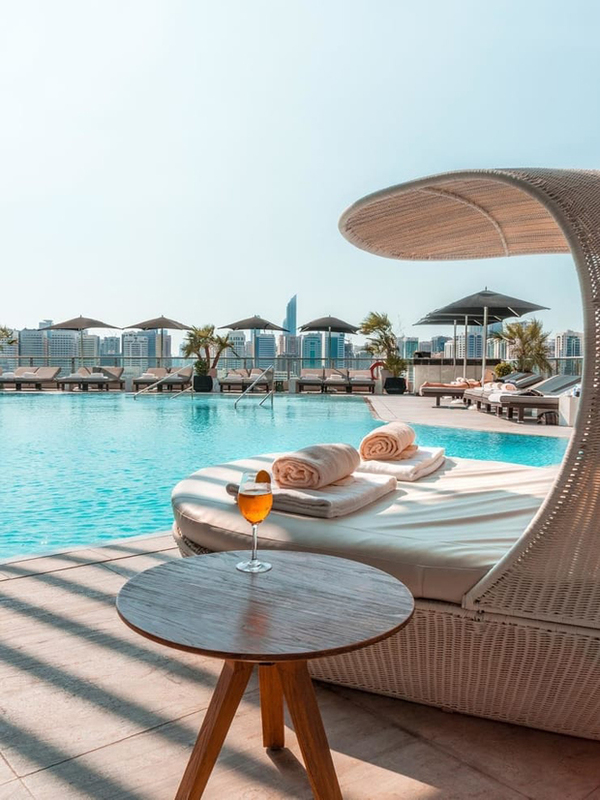 If you’re after a glamorous abode for your honeymoon adventure, Four Seasons Hotel Abu Dhabi will tick all your boxes! This chic 34-storey hotel has expansive views of the city skyline and the sparkling waves of the Arabian Gulf and is bursting with luxurious facilities – it’s home to six creative restaurants and lounges, a blissful spa, outdoor swimming pool with panoramic skyline and water views and has a waterfront walkway linking it to the luxury shopping mall, The Galleria. If you decide to actually venture outdoors, Abu Dhabi has plenty of excitement to offer with everything from desert tours to famous sights to visit such as Sheikh Zayed Grand Mosque, Emirates Palace and The Corniche with its many beaches.